If, like us, you don’t know your belt drive turntables from your Bluetooth speakers, then entering an audio emporium can seem like a daunting prospect. Listen up then, as we were made to feel nothing less than home from home at Hard to Find Hi-Fi: up on the JQ’s Spencer Street. Getting us to sit back in something both part-sofa, part-graphic equaliser, our man John schooled us in exactly why it’s worth investing your time and your money in a ‘proper’ Hi-Fi (which is what they specialise in), by cranking up a suh-weet McIntosh set-up. And, John tells us, the new opener is the only place within 100 miles where you can hear one. It wasn’t just loud. It was big. 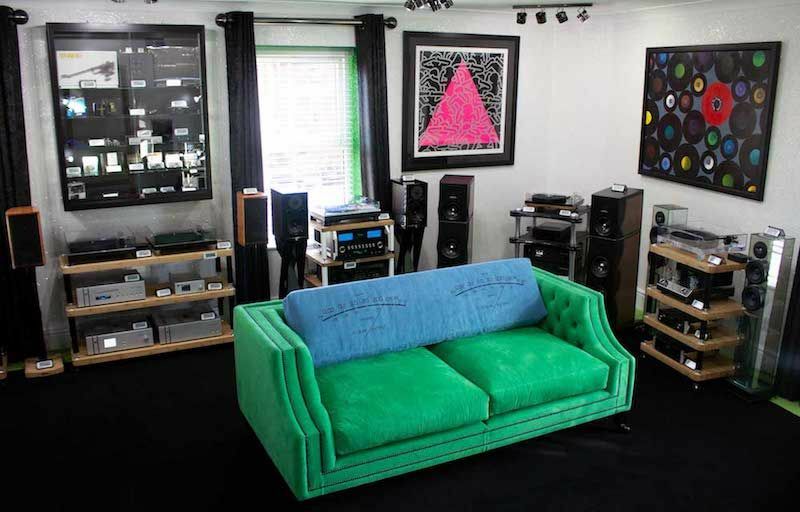 The store is an audiophile’s heaven, whether you’re already accomplished or simply aspiring. With a website and online store which will be fully open in the next few weeks, Hard to Find Hi-Fi’s worth keeping your ears out for.